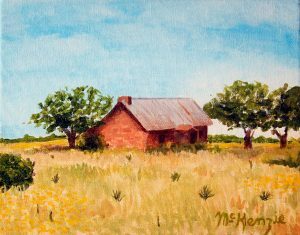 The Austin Visual Arts Association, a 501(C)3 nonprofit arts organization, is pleased to present an exhibition featuring art created by US military veterans to celebrate Veterans Day. The opening event for the show will take place on November 10, 2018 from 6-8 PM and the art will remain on display and for sale from November 12, 2017 (Veterans Day) until December 8, 2018. The exhibition will be at the Austin Art Space Gallery, 7739 Northcross Dr., Suite Q, Austin, TX 78757. Attendance is free. Art Space Gallery hours are Fridays and Saturdays, 11-5 p.m.